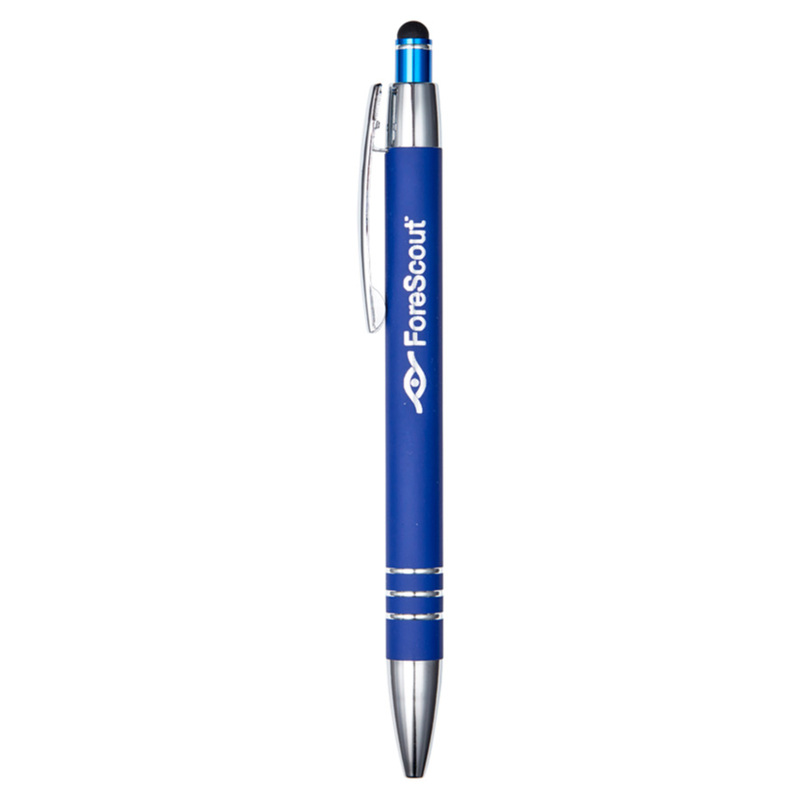 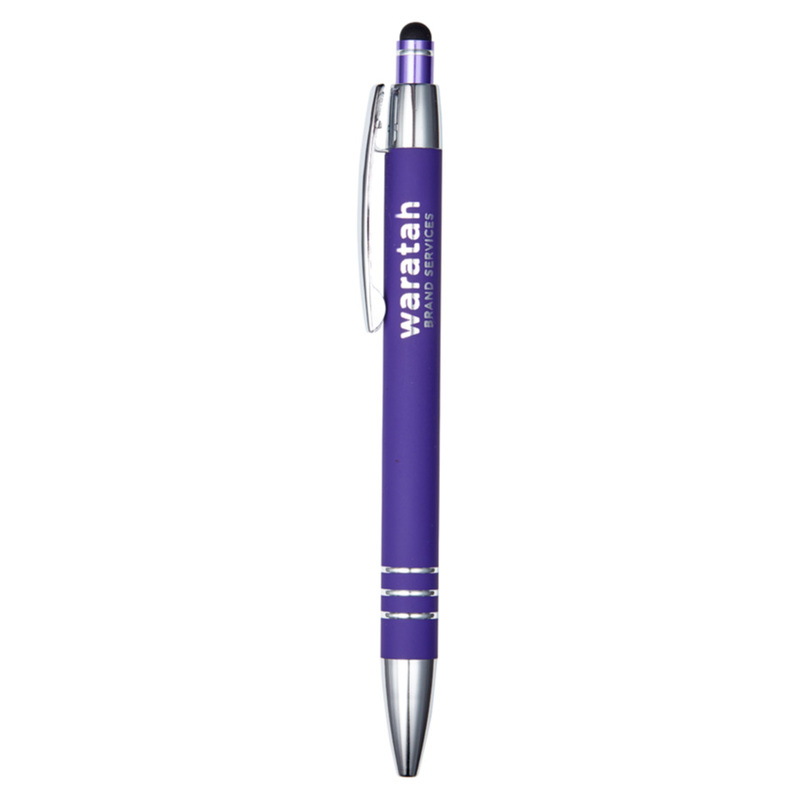 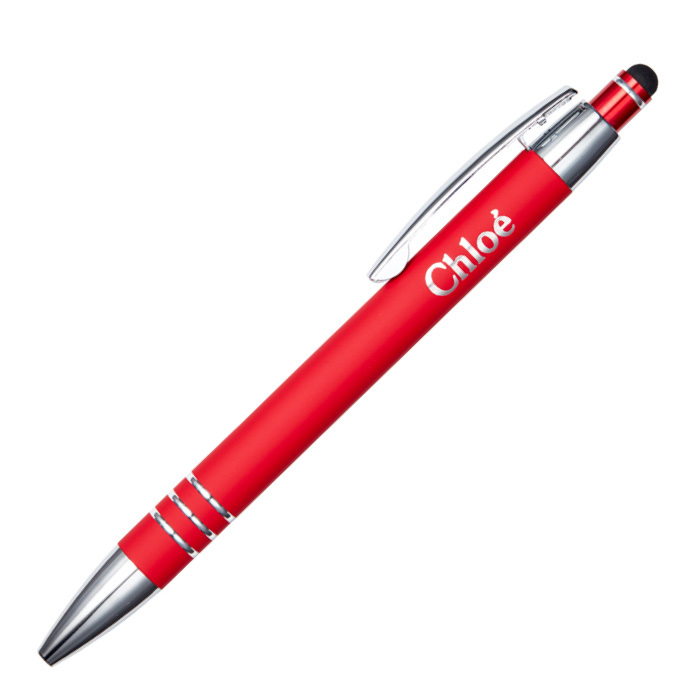 Decorated with a mirror finish or full colour print these pens excel at showcasing your logo. These click action metal pens feature a unique colourful rubberised finish and come with high quality black ink. 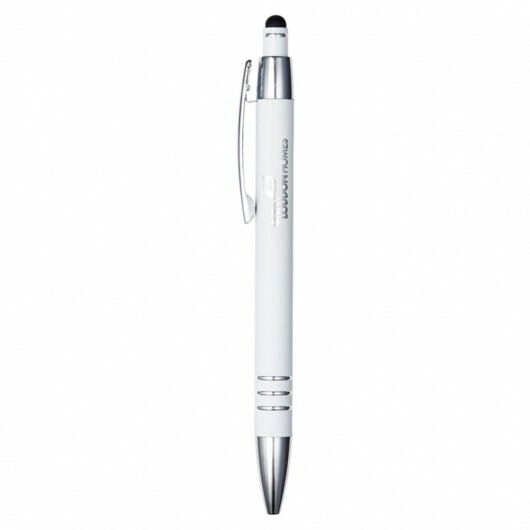 But what makes these pens so special is the unique laser engraving decoration that exposes a mirror finish. This gives them a premium feel and a huge added perceived value to encourage your target audience to use them more frequently. 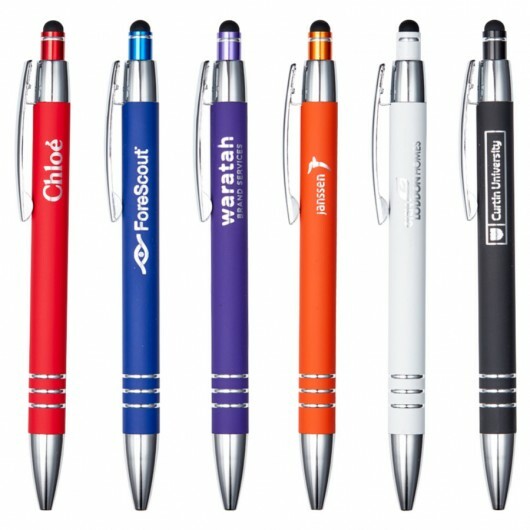 These pens also contain a stylus tip with matching coloured accent.